[LOS ANGELES, CALIFORNIA] June 28, 2016. 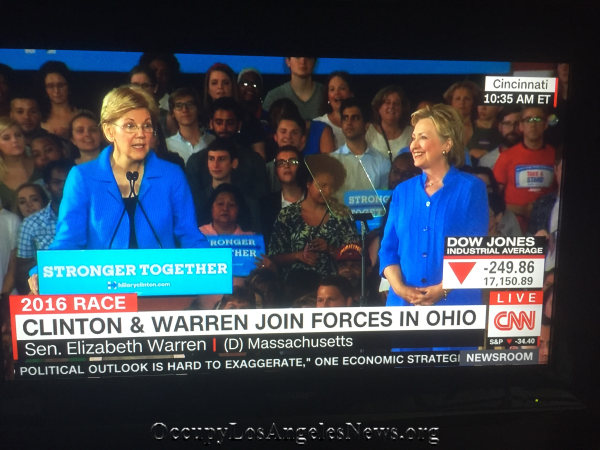 In Cincinnati Ohio on June 27, 2016 the Democratic presumptive nominee Hillary Clinton took to the stage with Senator Elizabeth Warren of Massachusetts and pledged to work together to repeal Citizens United and the two said they will do all they can to keep Donald Trump out of the White House. Trump, a multi-millionaire business man, is running for President of The United States under the Republican ticket. 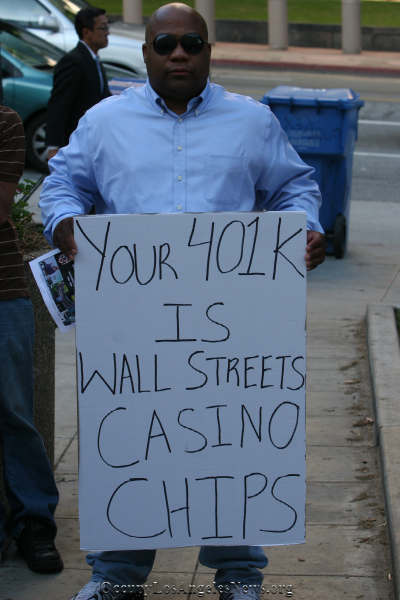 The crowd roared with approval as Warren tore into him calling him a “thinned skin money grubber”. 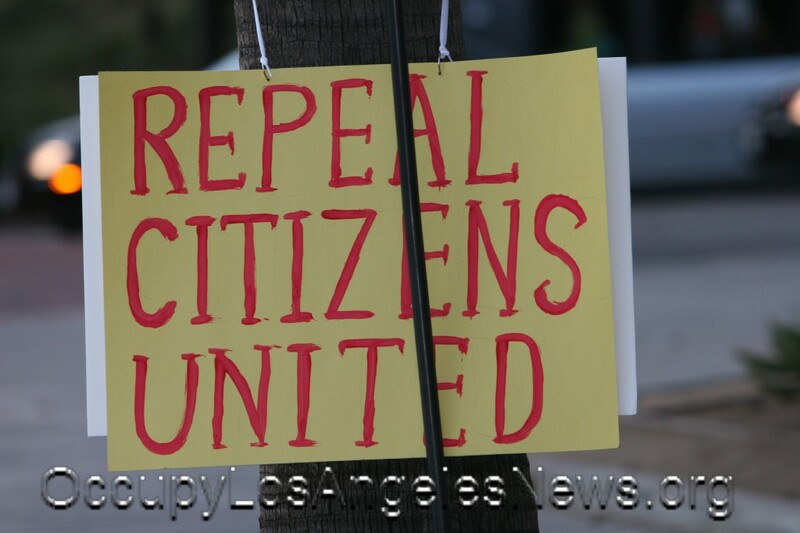 Citizens United v. Federal Election Commission, as detailed in Wikipedia, is a U.S. constitutional law case dealing with the regulation of campaign spending by organizations. The United States Supreme Court held (5–4) that Freedom of the Press prohibited the government from restricting independent political expenditures by a nonprofit corporation. Secretary Clinton and Senator Warren promised to work together to repeal Citizens United and get big “corporate and individuals dollars out of politics”. Below are a series of statements made by Secretary Hillary Clinton at the highly attended rally of Ohio supporters. 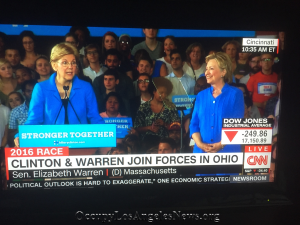 Secretary Clinton and Senator Warren promised to work together to repeal Citizens United and get big “corporate and individuals dollars out of politics”. This entry was posted in Cataloged Recent Posts, Occupy Local News, Occupy National News and tagged Cincinnati Ohio, Citizens United v. Federal Election Commission, Democratic, Donald tRUMP, elizabeth warren, Hillary Clinton, ohio. Bookmark the permalink.